Let Our Certified Team Help You. 821 Collision is more than just your average collision repair shop. We offer insurance claims assistance to ensure your collision repair process is hassle-free. You have the right to choose the repair shop to fix your vehicle. 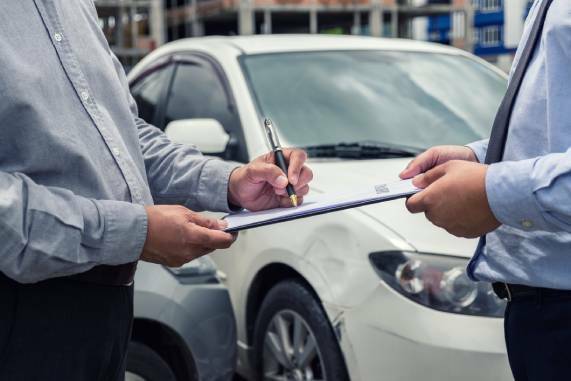 Once you’ve informed the insurance company which repair facility you have chosen, they are not allowed to try to influence you to take it somewhere else. You have the right to have your vehicle repaired to its pre-accident condition. Your insurance company is required to assume all costs necessary to repair your vehicle to the way it was before it was damaged. The law does not require a certain number of estimates. replace or the actual cash value. You should consult with your collision repair professional of your choice to determine the appropriate repair plan for your vehicle. Collision repair professionals have the knowledge and technical expertise to know which parts, materials and repair procedures are necessary for the proper and safe repair of your vehicle. Armed with this information, you will be in a better position to make sure you receive what you’re entitled to from your insurance company. Feeling overwhelmed by the entire insurance claims process, no worries. 821 Collision offers insurance claims assistance that will work directly with your insurance company to ensure your auto collision repair claim is handled properly and efficiently. We support a culture of training and continuing education and regularly attend industry training events offering you the peace of mind when choosing to leave your vehicle with us for repair. Contact us today to see how we can assist you with your auto collision repair! Copyright © 821 Collision. All rights reserved. Designed by B2B Automotive.